I had the ideal holiday meal. My spontaneous meal wasn’t really planned but somehow worked out perfectly. My family was traveling to Virginia to be with my niece and her family. I was scheduled to present a yoga retreat at Kripalu Retreat Center, the day after Thanksgiving. There was no way to be in two places at once so I stayed home in NYC for the holidays. I was so excited about this spontaneous holiday meal that I don’t want to go back to the traditional way. Thanksgiving morning I taught a yoga class at the JCC in New York City and delightfully reconnected with students I haven’t seen in decades. Many of my students from Equinox gym have transferred to the JCC over the years. I started working there in again in September so Thanksgiving day was a day that I reconnected with many of my long lost students. I had a plan for my Thanksgiving day celebration and it was to share dinner with my buddy, Pat, who was dog walking over the holiday. We divided the meal up and whipped up an amazingly healthy and delicious Thanksgiving dinner. I was in charge of the pie, the roasted veggies, cranberry sauce, and coleslaw. Pat was in charge of the stuffing and the gravy. Pat is a vegetarian and I am not that wild about turkey. We enjoyed a delicious healthy and Ayurvedic Thanksgiving. How cool is that? I roasted carrots, rutabaga, onions, sweet and white potatoes in olive oil and sea salt. These veggies came from my CSA farm share, Roxbury Farm. Pat made a great stuffing with onions, herbs, apples, parmesan cheese, and mushrooms and breadcrumbs. She made a mean mushroom gravy with veggie broth and ghee! Yummy! I admit to purchasing a delicious homemade cranberry sauce (cranberries, walnuts, oranges) and the pumpkin pie at Citarella (a wonderful grocery store on Manhattan’s Upper West Side) Everything was fresh, organic and unprocessed. We even made our own homemade whipped cream topping. We had plenty to eat and I didn’t feel stuffed. We ate around 4:30pm and had dessert around 6:00pm. Plenty of time to digest and get a good night’s rest before the retreat. This is the first Thanksgiving with no gas, bloating or post holiday dinner stomach ache! We went out for a walk after dinner as the sun was setting. Wow! I think I like this Thanksgiving dinner! What was missing? Turkey, gravy made with the fat from the turkey, mashed white potatoes, chicken sausage in the stuffing, green bean casserole with cream of mushroom soup and french fried onion rings (that come in a can), Ocean spray cranberry sauce, Pillsbury dinner rolls and the appetizers of baked brie and crackers. It might be far fetched to think you can change your family’s experience of holiday meals. I was free to do this because I was not with them. When I go to my sister’s home in Philly for Christmas, for our traditional Italian Feast of the 7 Fish Dinner, it will be a different story. Our eating marathon usually starts around 7:00pm after loads of appetizers and cocktails, and ends around 9:00pm.Afterwards we try to stay awake until the midnight services at a local church. It is all out of sync with the Dina Charya ( daily rhythm of Ayurveda). I usually feel ill most of the night and the next day even though the food is delicious. I have a plan to try to move the huge holiday dinner a bit earlier this year and to divide it up into 2 meals instead of one heavy meal late at night. (Best laid plans of mice and men…) Let’s see how it goes. My great niece, Josie, who is turning 2 in February would so enjoy the kid’s service at our local church Christmas eve at 5:30pm.. Then we could actually go to sleep at a decent hour instead of 2:00am! If your holidays portend lots of Alka-seltzer, maybe there is an alternative? Break up the huge dinner into 2 meals. We could possibly eat one of the 7 fish courses at lunch liked the baked fish we never have room for at the end of the meal. Eat less dinner and have a very light dessert. Go for a walk after dinner. Sitting right after the heavy meal will not help digestion. Suggest organic and Non GMO alternatives to standard dishes that are hard to digest. Or just politely avoid those courses. ACTIVITIES THAT KEEP YOU MOVING! Activities that will keep you moving over the holidays and fight the lethargy of TV marathon binge watching. Play Charades Too Much Fun! Get your giggle muscles going! Dance party – Turn on pandora and program some great tunes. Play board games- much more fun that staring at your computers all night! Play Wii bowling or golf or learn some new dance moves. Do some yoga and meditation with your family. ( It might be a stretch but it is worth a shot!) I start practicing and someone usually jumps in next to me. hungover and less bloated! Happy Holidays. If you want to learn more ways to align with the Ayurvedic clock and the seasons check out Jackie’s course The Body Evolves, based on Cate Stillman’s course, Body Thrive. 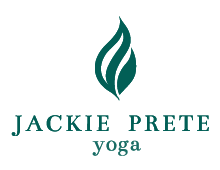 Jackie’s next 10 week course is starting January, 2018. She will help you release patterns of behavior that will lead to more vibrant health, more energy, deeper more nourishing sleep and a stronger and more pain free body. Join the evolution!